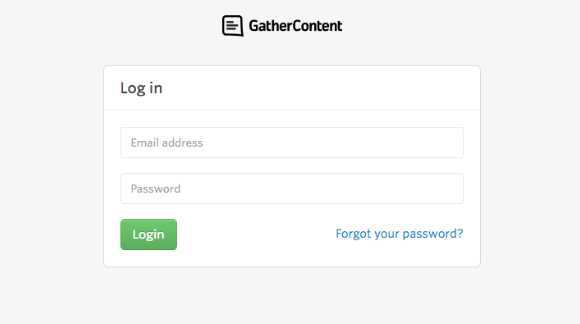 User can have multiple GatherContent accounts linked to the same email address. Here's how you can view and access your multiple accounts. 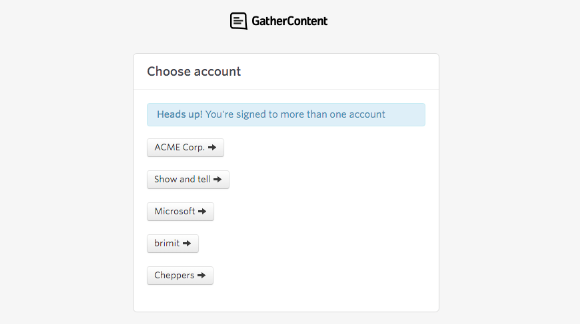 Users can have multiple GatherContent accounts linked to the same email address. This allows you to work across projects that may be in different GatherContent accounts you own or have been invited to. You can create a new account using an email address you've used previously. All you need to do is log out and reregister. During the registration you will need to select a unique subdomain. If you're already logged in you can go straight to the choose account menu. You'll see a full list of your accounts. You'll be able to select the one you need to access.